Built 1904 by George Brown and Co., Greenock. Single screw. Compound engine. Length 138.6 ft., Breadth 21.6 ft., Depth 11.3 ft., Gross tonnage 283. Levant II was purchased on the stocks while being built as a trawler, and was fitted out for cable work by the addition of twin bow sheaves and a simple cable winch mounted on the upper deck. A large hold was used for stowing cable, no cable tank being fitted. The ship took part in the Dardanelles campaign of World War I; a number of its officers and cable staff received mentions in dispatches, and the ship’s Master, Harold Wightman, was awarded the Distinguished Service Cross for “the laying of the cable from Imbros to Suvla on the night of the Suvla landing, and for laying and repairing cables off the peninsula frequently under heavy fire”. In 1929 the ship was transferred to Imperial and International Communications Limited (later Cable & Wireless) and remained in cable service until 1935, although she was laid up in Malta from 1930-35. Levant II was sold to W.J. Parnis of Valletta (Malta) in 1935 and renamed Major William. Sold again in 1938 to Mrs H.M.B. Williams and renamed Orange, and once more in 1941 to the Soc. Marseillaise de Trav. and renamed Eissero. The ship is reported to have been broken up in 1952, but site visitor Emi Farrugia notes that while en route to be scuttled in the spoil ground some three miles off Grand Harbour, Malta, the ship started taking on water and sank further in towards the shore, about one kilometre off Grand Harbour. Emi found the wreck in 1999 and believes it to be the Levant II without any doubt. 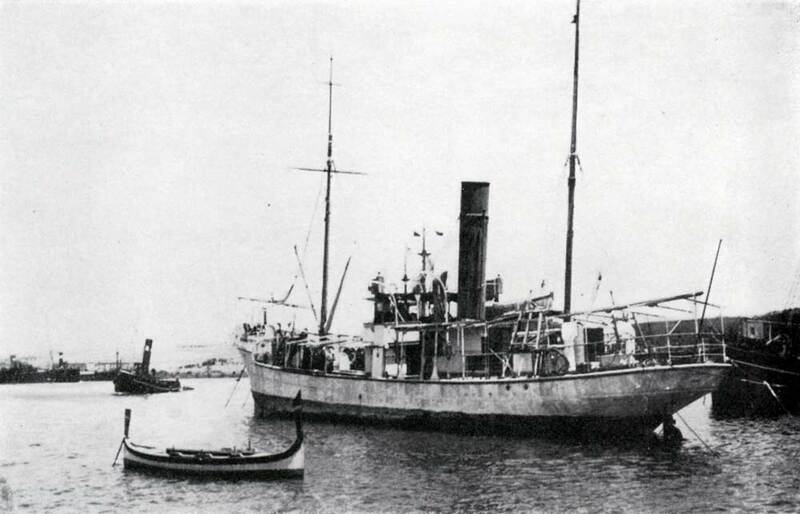 From measurements of the wreck the length and beam match exactly; it has the cable drum up front as in the picture, and on one of the brass fittings there was the name Brown & Co and a date of 1911. The wreck lies in approximately 60 meters depth of water pretty much intact.